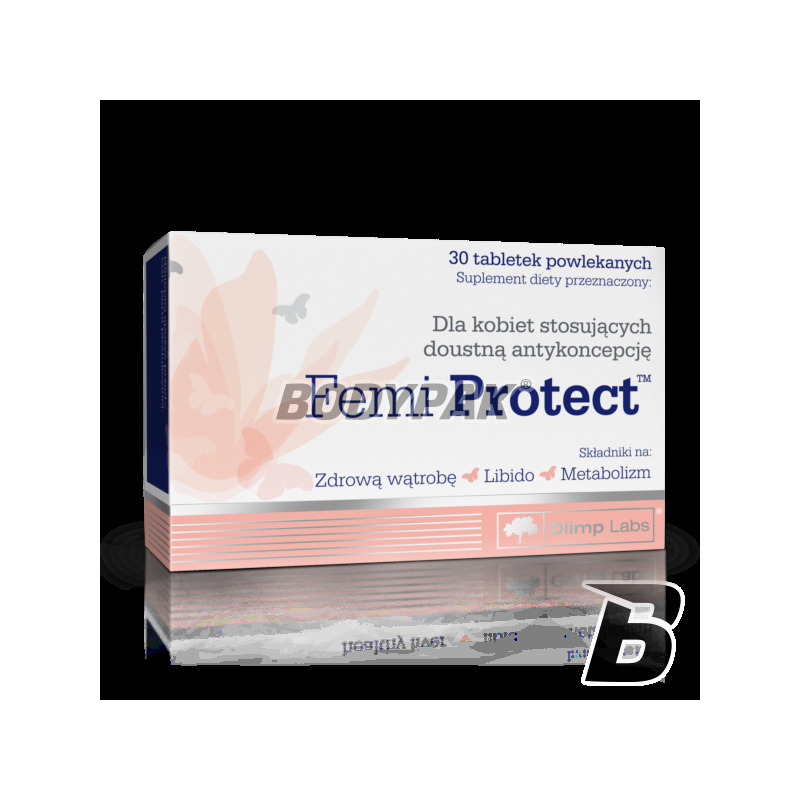 Health & BeautyOlimp Femi Protect - 30 tabl. Olimp Femi Protect - 30 tabl. Femi Protect is a food supplement containing a complex of active ingredients supporting the proper functioning of the body during use of oral hormonal contraception. Femi Protect is a food supplement containing a complex of active ingredients which aid the correct functioning of the body during use of oral hormonal contraception. - Extract of artichoke (5% cynrayny) - supports the detoxification of the liver, supports the proper functioning of the liver, digestive system and digestion.